Are you looking for cozy, comfy and clean hostel? Here we are! 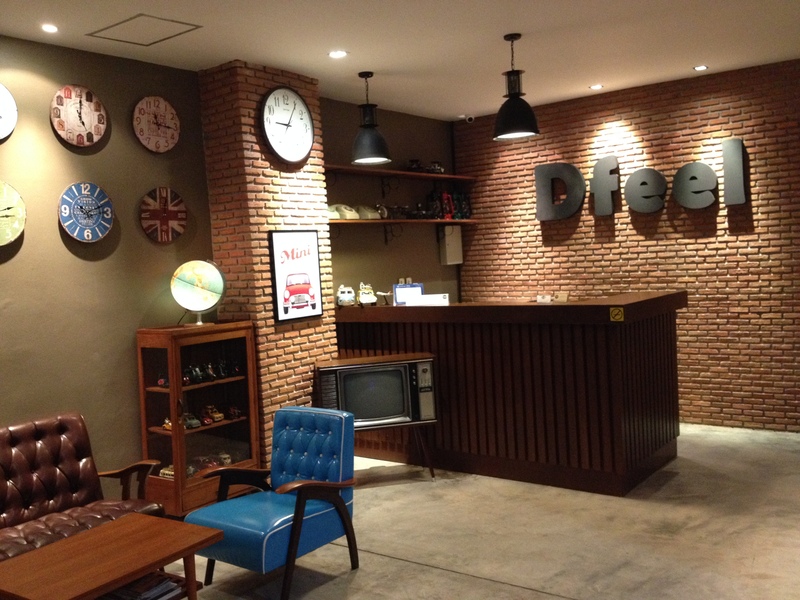 D feel Hostel, where the comfort meets budget, is newly opened with a mixture of retro-vintage styles. W e are located in Patong area where there are plenty of tourist attraction, beautiful beach, shopping area and nightlife. The hostelâ€™s environment is not crowded and still within a walking distance to the beach, dining and shopping area. The access to Phuket Town from the hostel is also very easy and convenient by taking a local bus on the main road of the hostel. During your stay, we could arrange you a local tour, taxi, car/motorbike rental and other tourist information which will make your wonderful vacation easier. Our staff are friendly and do the best to help all guests as pleasant as possible. We also provide the entertainment room where you can enjoy the various movies and meet the new friends from around the world. We are having both private rooms and dormitory rooms which have various choices in order to meet your personal requirement and budget. All private rooms are equipped with the standard facilities including air-conditioning, ensuite bathroom, cold-hot shower, reading light, etc. The hostel has no elevator. You can enjoy a complimentary of coffee and tea in our Hostel!! You can take a minibus from the airport to the hostel which costs about 180.- Baht per person.The minibus ticket is available at the arrival hall. The airport limousine costs about 600-1200 baht** depending on the type of cars. It takes about 45 minutes to the hostel. The guests can book our transfer service by car from the airport to the hostel at the cost 700 baht per one way with a maximum of 2 persons. It takes about 45 minutes to the hostel. ** The fares and schedules are controlled by the service providers and subject to change without prior notice. The hostel cannot take any responsibility to the changes of the fares and schedules.